Environment Canterbury in conjunction with the Canterbury District Councils has announced funding to provide up to $6000 advance to pay for home heating, insulation, and ventilation improvements. “Healthier Homes Canterbury” initiative has been launched by Environment Canterbury and the Canterbury District Councils (see below) in September 2018 to assist homeowners to improve the health of their homes through insulation, heating, and ventilation. Air Con New Zealand is proud to be one of the registered suppliers to provide you with insulation, ventilation, and heating packages. The Auckland City Council offers assistance to support the purchase of insulation and clean heating products to its ratepayers via the Auckland Council Retrofit Your Home programme. If your house was built before the year 2000, homeowners can apply for up to $5,000 loan towards the cost of their insulation and clean heating products. This loan is then paid back through Auckland City Council rates over a nine-year period at approx. 7% interest (please check as can change). If you have a mortgage with a New Zealand bank, you may be able to add the cost of insulating your home to your mortgage. You can do more of the things you love with Gem Visa. 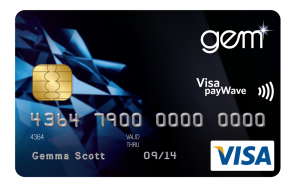 Every time you make a purchase over $250 on your Gem Visa card, you’ll automatically receive 6 months interest-free. That’s every time you go shopping, book flights or concert tickets and pay for those unexpected expenses – it’s that simple. With a Finance Now personal loan anything’s possible.